BB6 Towers | Cary Kopczynski & Company, Inc.
BB6, also known as 2326 6th Avenue Towers, is a mixed-use development comprising two 440-foot towers atop a seven-level podium and seven levels of below-grade parking. 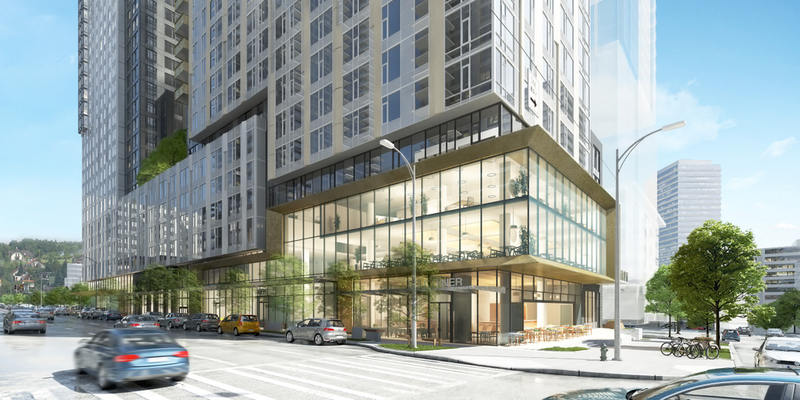 Located in the heart of the Denny Triangle neighborhood near Amazon’s global headquarters, the project will include residential apartments, extended-stay lodging, office, retail and parking. 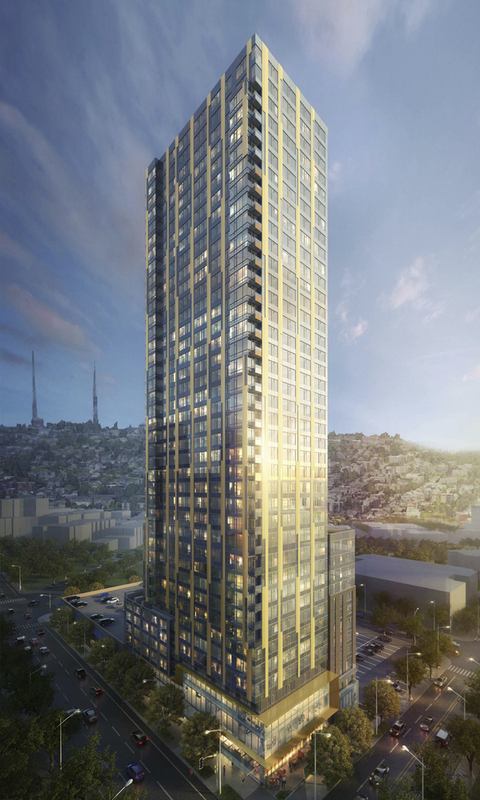 Residential amenities will include exterior rooftop gardens at the podium, and the top floor of each high-rise will include social gathering areas. The structure is cast-in-place concrete with long span two-way post-tensioned slabs. The lateral system consists of efficient eccentric shearwall core with drophead on two sides of the core, which resulted in increased spans and eliminated interior columns. CKC incorporated stepped columns for column transitions, eliminating all transfer beams. Performance-Based Design was used for seismic design.